A year ago, generous donors helped build a spring protection system and sanitation platforms for families living around Mido Spring. Because of these gifts and our monthly donors, partners are able to visit project sites throughout the year, strengthening relationships with communities and evaluating the actual water project. These consistent visits allow us to learn vital lessons and hear amazing stories – we’re excited to share this one with you. 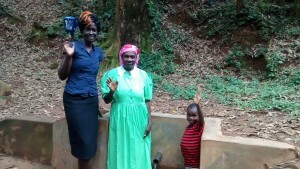 Though clean water is integral to good development, it’s not the only thing that’s causing big changes around Mido Spring; families have heeded what they learned during last year’s training. Madam Florence exemplifies this change for the better. Florence took up the gauntlet after our session on economic empowerment and started vending vegetables. She started this business with only 100 shillings (about 1USD), but is now making more than enough to pay for her grandchildren’s school fees. We also met little Bennon Adagala at the spring. 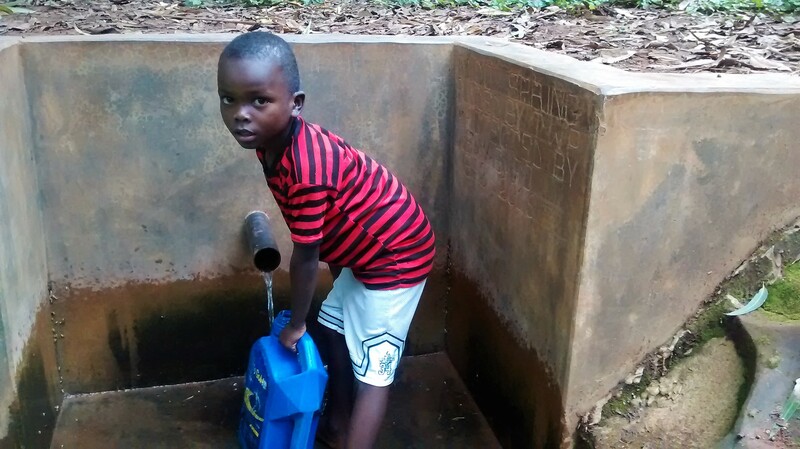 He says this clean water is giving him so much peace that he never used to have – He frequently suffered from stomach pains and diarrhea because of dirty water. “Now I can have my sound sleep and give maximum attention to my studies and chores because construction marked the end of diarrhea in my life.” He also mentioned that he has a rainwater catchment tank at his school, so he gets to drink clean water all day. He’s noticed his classmates are no longer absent as much as they used to be! In fact, a staff member was so moved by Bennon’s zeal for learning that they bought him enough paraffin to get him through two months of homework! This community is impoverished and struggles to find the same success Florence has, so we are continuing to engage with them and encourage them with different ideas for generating income. Keeping Mido Spring flowing with clean water is just another way to support them in these endeavors, and we’re excited to stay in relationship with this community as they continue their journeys with clean water. 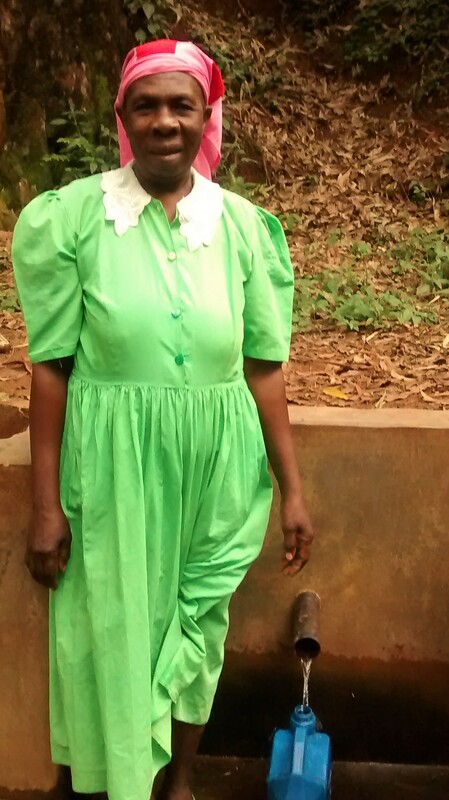 When you invest in The Water Project, you're investing in people like Bennon. Your gifts help us reach more communities with the gift of clean, safe water. And every drop helps unlock potential.